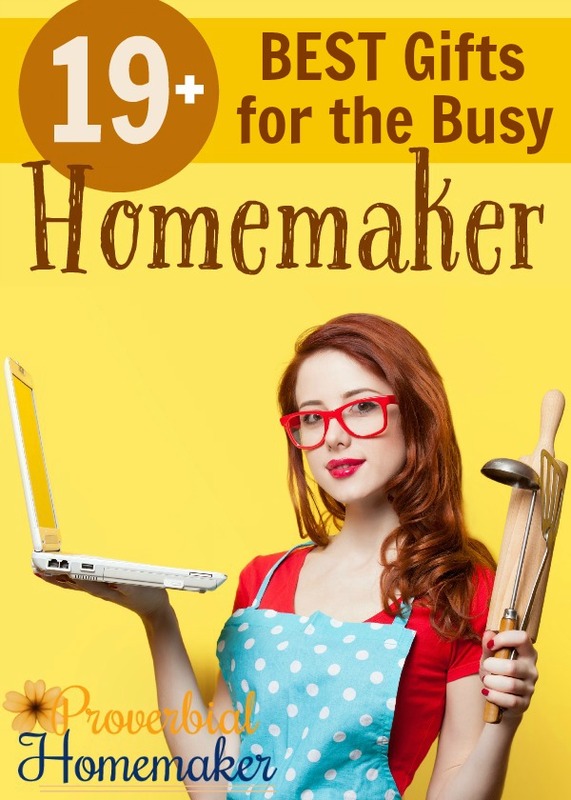 Are you looking for the best gifts for the busy homemaker on your list? Whether it’s your sister, mom, friend, or maybe (ahem) yourself, this is a running list of my absolute favorites in my own home or ones I have on my wish list! Check them out and bless a homemaker! Instant Pot Electric Pressure Cooker – This lovely appliance also functions as a slow cooker, yogurt maker, rice cooker, and more! I have the Duo 7-in-1 model and I use it almost EVERY day. Aromatherapy Essentials (diffuser, necklace, oils, case) – Whether she’s new to essential oils or a an experienced user, oils and accessories are always a good idea! Buy the Mom’s Essentials Kit from my favorite company, Rocky Mountain Oils, or a few must-have oils such as lavender and lemon. I can’t remember where I got this case now, but I’ve linked to a similar one. 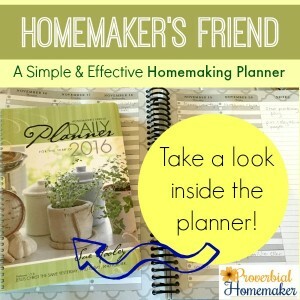 Homemaker’s Friend Daily Planner – If she’s been thinking of a planner or wanting to get more organized, consider the Homemaker’s Friend Daily Planner! You can get one for you and some for friends and family. Check out my full video review here. 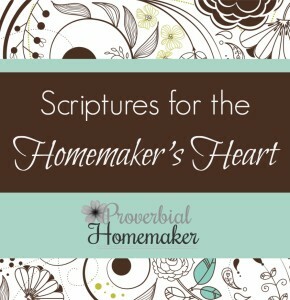 Homemaking Scriptures – One frugal gift idea is to download these free scriptures specifically for homemakers! Print the cards and mount each one on simple card stock, then laminate them for a sweet gift that will encourage her on the hard days. The download comes with some beautiful art prints you can frame for her as well! Bible Journaling Kit – Buy one of these beautiful journaling bibles for a thoughtful and lasting gift that will really enrich her life. I use one of these daily! She can try the fun illustrating and picture journaling so many love, or do what I do and write her thoughts and prayers in the wide margins. Be sure to snag some good pens that won’t bleed through he pages! There are many Bibles and pens to choose from, but I show my favorites below. Coloring for Relaxation – Coloring for grown-ups is all the rage right now! Chances are, she already loves it or wants to try it. Get her a little bundle of beautiful coloring books and some high-quality colored pencils, and she’ll be all set! Vitamix – I’ve always said that if there was a fire and my family was safe, I would grab three things on the way out the door: my laptop (which has all the photos), the safe, and my Vitamix. I use it for smoothies, making sauces, baby food, soups, dough, and more! Love it. Green Pan – Our house has a glass top which made my beloved cast iron cookware a no no (sob) so we switched to stainless steel in a continued effort to avoid toxic non-stick coatings. Stainless steel is not ideal for eggs and pancakes though, so I was thrilled when my husband got me this ceramic coated Green Pan! Kindle or iPad – For relaxation, reading up on homemaking skills, or any number of things, a Kindle or nook is a fantastic gift for a homemaker. I love my iPad but I know many friends who would not part with their Kindle Fire! 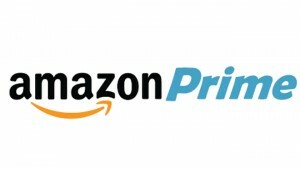 Amazon Prime – This is SUCH a handy gift, providing free shipping, two-day delivery, and all sorts of other perks. I held out on this for a long time because it seemed so extravagant, but I finally bit the bullet and I’m so glad I did! Shopping Card – A little shopping spree on Etsy or Amazon is such a wonderful idea for a homemaker. Especially those that don’t like to go out shopping. But if she has a favorite local craft store or something, get one there! She will love you for it. 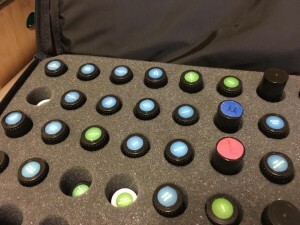 Shotbox – This is a really unique and fun gift idea, and such a great way to capture those keepsakes that can’t be shoved into a scanner or fit into the memory box. She can take beautiful, professional-quality pictures to put in a scrapbook, share with friends or family, or start an online journal or blog. 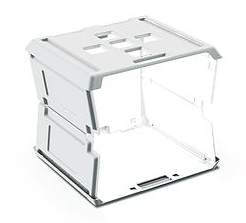 It’s also a wonderful way to quickly capture family heirlooms and records! Tea or Coffee – I don’t know any homemaker who wouldn’t love a pretty tea or coffee cup and a little gift basket full of gourmet teas, coffees, and chocolates! Make your own with thrift store and grocery store finds, or get this fun little kit! Shoes – Yes! Shoes! Especially if there are hardwood floors in your house, getting a really good pair of shoes for her to work in is essential. Here are my favorites! The Sketchers Go Walk 2 Super Sock Slip-On Walking Shoes. SO comfortable! Busy Mamas Bible Study Kit – This is my favorite Bible study resource for moms! I have done several of them and they are solid, go deep into study, but are really organized in such a way that the busy mom can realistically do it! Most of them have optional activities for kids as well. Highly recommend them as well as any of the Doorposts material! Fun Apron – I’ve always wanted a cute (but not too frilly) apron to work with and just never found a good one. I actually bought this for myself this year! 😀 I figure the price is low enough to at least try it out. Restaurant or Coffee Cards – Whether she’s taking a break away from the house to plan and sip coffee, or head out with the hubby for a much needed date night, gift cards for a restaurant or coffee shop are a win. Just do it. Tickets to a Concert or Event – Get the couple tickets to a concert (or one for her and a friend) and then be sure to handle babysitting and dinner for the kids! Maid service – That’s all I have to say about that. If I won, it would bless my family with more homeschooling materials and maybe splurge on an Instant Pot. This gift would be an immense blessing to my family as we have had extra traveling expenses so we could spend as much time as was possible with my uncle who was battling ALS and to be with family just this past week when he passed away. We have also had numerous trips to see specialists who have been helping diagnose and treat my many health issues including a compromised immune system, autoimmune diseases, and muscular disorder. We will also have more trips right before Christmas as my father has surgery to remove cancer. Furthermore, I am the single mom of a child with a diagnosis of Autism. God continues to be our strength, our comfort, and our hope. We trust that he will meet all of our needs. Thank you for this great opportunity! This money would be a great blessing. I would use it to pay some bills. It will allow us to meet our goal of paying off our credit card by the end of the year! I would love to win this giveaway as it would help pay for groceries and other budget items. Thanks! Winning this giveaway would be a MAJOR blessing to my family! It would allow us to pay off credit that we have used to get us through the lean months when unexpected sickness struck and/or vehicles broke down. This would be amazing! We are far away from family, so Christmas is pretty quiet here it would be nice to have a little extra cash to do something special as a family. with winter boots and coats! Wow, $500, would go a long way this Christmas! All 3 of my kids hit growth spurts at the same time, and there’s not much extra in the budget right now! My family has so many interests any monetary blessing will be put to good use, especially at Christmas. Thank you for you great ideas. 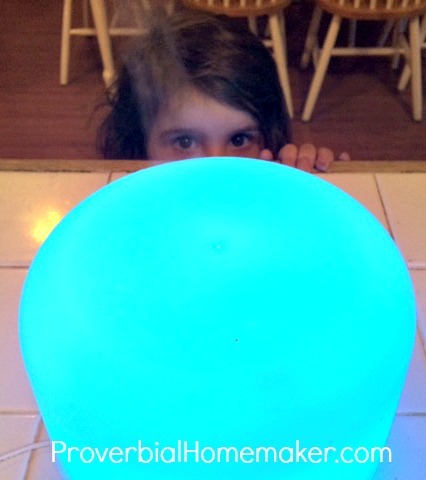 Being a one income family to home school is a challenge especially during the holidays. Paypal cash would go a long way toward Christmas gifts for my three boys. This giveaway would be such a blessing to our family and allow us to give our kids a wonderful Christmas!! Thank you for this opportunity! These are some really great ideas for gifts. Thanks for a chance at this giveaway. Lots of great gift ideas! Thanks for the giveaway opportunity – the extra in our paypal if I win would probably be used towards a “family gift” such as a new laptop that would benefit all of us. This would really help us with extra expenses right now. I love all your posts and contests, thanks for being so fun as well as informative and helpful. This would be so amazing to win!! The things we haven’t been able to afford for our homeschool and maybe something for me would be such a blessing!!!! Great giveaway! I would use the money on buying homeschool supplies and gifts. I look forward to your emails daily! Thank you for all you do! It would help with paying some bills and Christmas!! Thank you for the opportunity! This would help out with so much– copays on a recent hospital stay, car repair we are putting off because the last bill is still being paid, filling in the gaps that haven’t been paid as we dealt with the essentials. These are some great gift ideas. The one I find the most useful is the Shot Box. It would be useful for taking pictures of my grandmother’s owl figurines. When she passed in 1988, they sent them all to me. My kids, and grandkids, picked one each, and don’t want the arrest of them, my great-grandchildren, are too young to choose even one. I think having a picture will be all I want to keep. Any suggestions on what to do with figurines, would be appreciated. We are on a very tight budget trying to give ourselves the ultimate gift of being debt free, so this giveaway would allow us to have a fun Christmas and the ability to give more to those in need. Winning this giveaway would be such a blessing for us, because it seems this time of year, we always have vehicles break down and bills get higher. It’s always a struggle for my husband and I to provide the little extra that we want to for our children at Christmas, let alone gifts for each other or anyone else. It will help me by allowing me to buy some new curriculum for my kids and also a fun gift or two. I love these gift suggestions for me and for my mom friends! The $500 PayPal cash would bless us in so many ways. We’d tithe part of it, but then we would be able to spend on our friends that are much more in need than we are! I love the Micron pens & Bible Journaling Kit, I make my own doodles & really want to do them in & around Scripture. 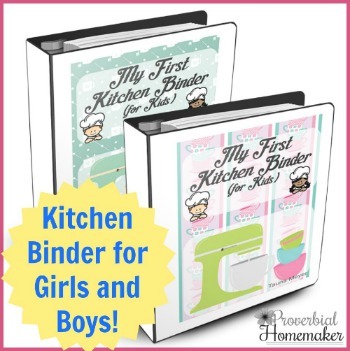 Also the Homemaking Scriptures – these would be encouraging to me, & also to others when I make them as gifts! I would love to win anything in this giveaway!. This is such a great giveaway. There is nothing on this list that I wouldn’t love to have. Not only does the Christmas season allow me more opportunities to reflect on my Lord and Savior Jesus Christ, which is always a great thing! But this time of year always brings me closer to my family and friends, who may be far away geographically speaking, but are so near and dear to my heart!! It would relieve some stress on our family. My husband has been unable to find full time work since June 2014. Thank you for considering me! This would bless my family by helping paying for unexpected car repairs right before Christmas. I agree with most of your list! I wouldn’t mind a de-cluttering service to help me get through all of these piles and reveal what truly is junking up my house. I also learned I am not supposed to use my cast iron on the glass top. OOPs! It would be a blessing having extra money for Christmas presents and schooling supplies! This looks like an awesome giveaway! This would bless our family by allowing us to pass on some of these awesome items that we already own (like the InstantPot) to some friends who would be blessed by them! This would bless our family and another needy family…thanks for the giveaway! This would make Christmas a bit brighter and help with the January birthdays as well. We are experiencing a difficult year, winning would help us to reach our goals and to help others as well. Thanks for a great giveaway! Winning this prize would be a blessing for our $$ strapped family. Oh, what a blessing $500 would be! Things are tight and it seems that this old house is requiring constant maintenance. Winning would help me breathe a little easier. :). First of all, thank you for hosting such a great giveaway! Secondly, if we won this it would help to replenish our very depleted savings after having to fork over hundreds in medical bills that our insurance didn’t cover. What a blessing that would be! Winning this giveaway would mean we would be able to make the move across the country to an area that is closer to family and afford me to be a homemaker. As overseas missionaries, we have a very small budget, so it’s hard to have money for Christmas and homeschool materials, so we’d use it for these two things. Winning this prize pack would bless my family by allowing us to take the vacation we were forced to abandon when my husband lost his job. The kids worked hard to plan it and we were looking forward to the unplugged bonding time. We’ve had such a terrible year that this would be a huge blessing. It would be wonderful to get some necessities likes diapers and socks people need as well as some Christmas presents. This would really bless our family- I would like to be able to provide better for my kids, and this would help. With 6 kids, from 20y to 9 mos, there always seems to be something unexpected cropping up. Winning would be a huge blessing for our family. Money is tight as my husband finishes school and the money would be so helpful in paying for Christmas gifts and paying off some bills. I love the idea of a journaling bible and gave only just gotten over my fear of writing in the bible. I’d love a nice bible to start in on in the new year. I’d probably use the $500 for items we need when we move to a new home in the next few months. We recently learned that we are expecting a new addition to our family in early spring. So winning would help us buy the necessary baby gear that we need since we do not currently have anything for the new baby. Winning this would help my family this holiday. 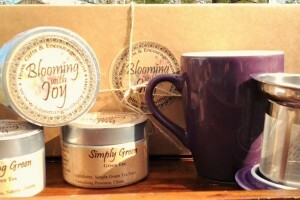 We just recently had our first child and this giveaway would go a long way this holiday season! Winning this would bless us by allowing us to pay off some bills and allow us to pass along a few more gifts. It would be a huge blessing for my family of eight.. I have been wanting to dive into essential oils but couldn’t afford to. I also want to stock up on herbs/supplements for my family but they are really expensive. It would help to get baby essential for our new arrival soon. We would use this money so we could go visit family in Ohio. We haven’t been able to go in awhile. 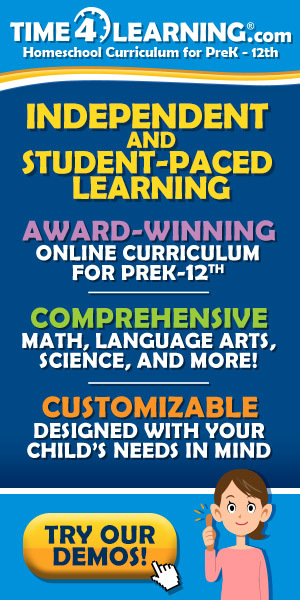 As a homeschooling family, we are already thinking about how we will be paying for curriculum for the next school year. To win such an amazing prize would be an amazing blessing. I would most like to win the oils. I’ve never really tried essential oils before, but I’ve been hearing so many good things about them. Wow this is an amazing prize pack for anyone. The Amazon Gift card would be very useful to order a diffuser that I’ve been looking at. Good luck! I’d love to win the Oils! I’ve been wanting to try this company for a while. There are so many items that I have on my secret wish list but would etc buy for myself, in the giveaway! Wow! It would be so cool to finally understand the store about some of the products! I love all of these, but for practical reasons, shoes! I seem to always need shoes. I remember to buy everyone else some shoes, but forget me all of the time and have no clue as to where to start, so shoes that come recommended are a huge bonus! This is an awesome give away, and I would have a hard time choosing, but I think i could use the instant pot more than anything! The Instant Pot would bless my daughter in law! The Amazon gift card would be great to have! Honestly, any of these would be amazing! It depends on the day which I’d love most!!! Wow these are great gift ideas! Its hard to choose. I think I would like the essential oils the most. We have recently been hit with unexpected bills, and the burden has been so great that we had to turn off our cell phone service. It has made it difficult because my husband works 2 hours away and uses our only vehicle, while I’m home alone with all three kiddos in an area we just moved to this January with the closest family an hour away. So this would be a huge, huge blessing for us and go quite a long way. The amazon card would be awesome! I love the fun apron! It is so cute, but not something I would ever buy for myself. I would love, LOVE to win the Vitamix! The Vitamix would be awesome, because I really want to try so many healthy recipes others have shared using it. We are on a no spending budget at the moment so it would be a true blessing. Also I’m not sure this comment is going to the correct place because the other comments are from 2015! But I figure may as well give it a shot. 🙂 Thanks! There are lots of great things, but I would love an instant pot. It has been on my wish list. The green pan is getting added to my wishlist too! Insta pot would be amazing! Winning the InstaPot would be amazing for our chaotic household and would make life easier for when the new new baby comes. All of the prizes would be a great blessing to my family, but the Amazon gift card could buy us some new homeschool supplies that we are currently needing. Amazon card or insta pot or the Bible journal kit. There’s so many great choices it’s hard to decide. These are all wonderful things, but I’m most excited about the IP. I would love to win an Insta pot! It is such a wonderful ministry to reach out to moms and Homeschool families! Thbk you for your heart and what a great giveaway! 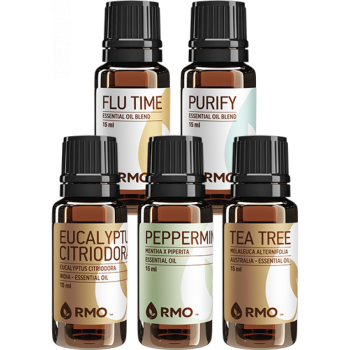 The RMO oils and diffuser would be wonderful! It’s all so great! The Amazon gift card would be especially handy. Shoes! I have hardwood floors that catch my socks all the time (we really need to have it refinished). I need a pair off comfy shoes for in the house only. Instant Pot seems amazing! I can imagine how much time it saves when it comes to meal prep! I would love the vitamix. Or a second instant pot, I love ours so much I would use two. What an amazing prize! Picking just one favorite from you list would be hard, but maid service would be great, I’d feel like I’d have to clean bef I really she cleaned. I really need the green pan. We have eliminated all but one non-stick pan and it is tiny. The Vitamix or the Bible study for Moms, they all look fantastic, thanks! Very excited about this give away. The instapot would be what I would like. I want to give it to my mom. Thanks for the chance. Well, I’ve been eyeing an InstaPot for awhile, so that might be my top pick. All would be a blessing for our family. It is very hard to choose. What a great giveaway! I’d say my #1 choice would be the Vitamix. #2 would be the Essential oils kit. This is fabulous! What a great giveaway! The Amazon gc would be so helpful. Thank you! Thank you for this giveaway! Your prizes are always so thoughtful and generous! I think my favorite one would be a maid service, but the shoes. I love the brand Alegria but they are quite pricey. I was able to get a pair on clearance once and they are so comfy. I’ve been wanting an Instant Pot, so that’s the one that excites me the most. Honestly the shoes would be the best. Duct tape cam only do so much. You’re a woman after my own heart! 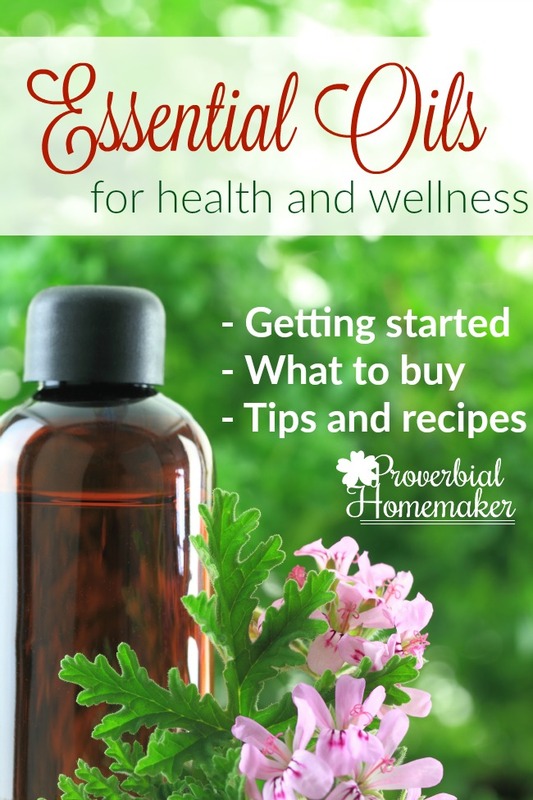 Great ideas here, but I think I’d be most thrilled with the essential oils bundle. I would love the aromatherapy kit! The Amazon and the InstaPot are both great. Hard to choose a favorite. I think I would want to try the Insta Pot. Several of my friends have one and love it. I might need one too! I don’t have an Instant Pot yet, but I can always use an Amazon card! Thank you for the giveaway!!! I like the journaling kit. The $500 would go for medical debt from my husband’s surgery last year. The giftcard or the oils stand out the most..but I love all the gifts! This is an amazing set of choices…..I have a hard time choosing….but the Amazon gc would be very helpful to this single mom…. Oh I really love the Green pan! I have been trying to switch to healthier products…that is so neat! I also have always wanted to try the essential oils, but have not yet. I hear so much about them! I would love the instant pot, i’ve seen and heard so many great reviews on it lately. I would have fun trying new recipes in this. I would love the Skechers Performance Women’s Go Walk 2 Super Sock 2 Slip-On Walking Sho. Rhey look so comfy. *sigh* I would love the maid service. I just can’t seem to keep up with the housework. I would love to try the Aromatherapy Essentials.